Thomas Webb Richards was born in 1836. He received his first training in architecture in the office of Samuel Sloan, a Philadelphia architect. In 1860 he moved to Baltimore where he formed a partnership with William T. Murdock. Richards’s teaching laid the foundation for what would become the School of Architecture at the University of Pennsylvania. In 1869 Richards returned to Philadelphia as an instructor of mechanical drawing at the University of Pennsylvania. 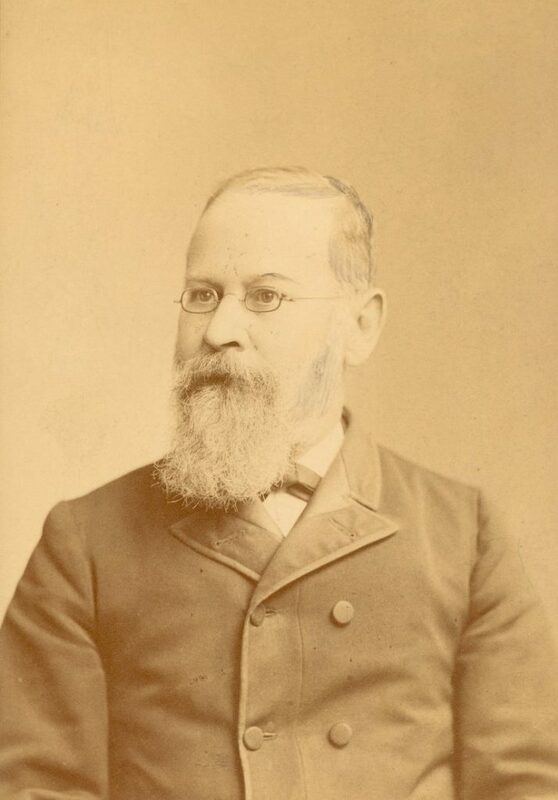 In 1874, he was named the University’s first professor of drawing and architecture, and in 1875 he was awarded the honorary degree of Master of Arts. Richards built four of the first buildings on Penn’s West Philadelphia campus. 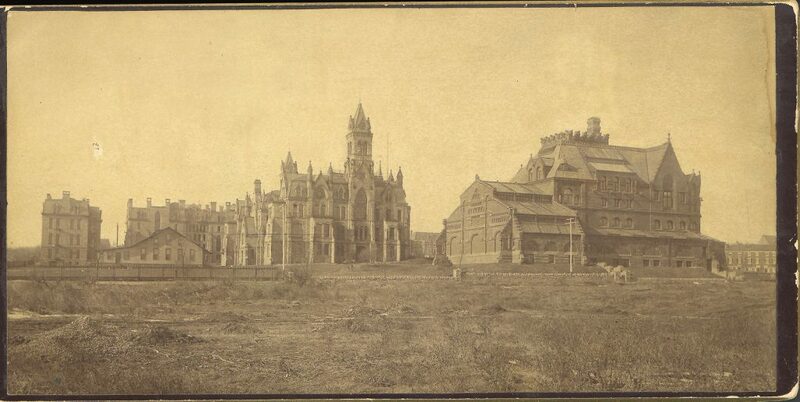 In 1870 he won the commission for College Hall (built 1871-1872). He also designed Logan Hall (built as Medical Hall in 1873-1874), the Robert Hare Laboratory (built 1877-1878), and the original Hospital of the University of Pennsylvania building (built c. 1872-1874). Hare Laboratory has been replaced by Williams Hall, the dining hall by Houston Hall, and the original hospital by newer buildings.